Photo courtesy of Michael Caine via Panoramio. Brislington Medical and Nursing Museum is located in a gracious Georgian building on the corner of George and Marsden Streets in Parramatta. 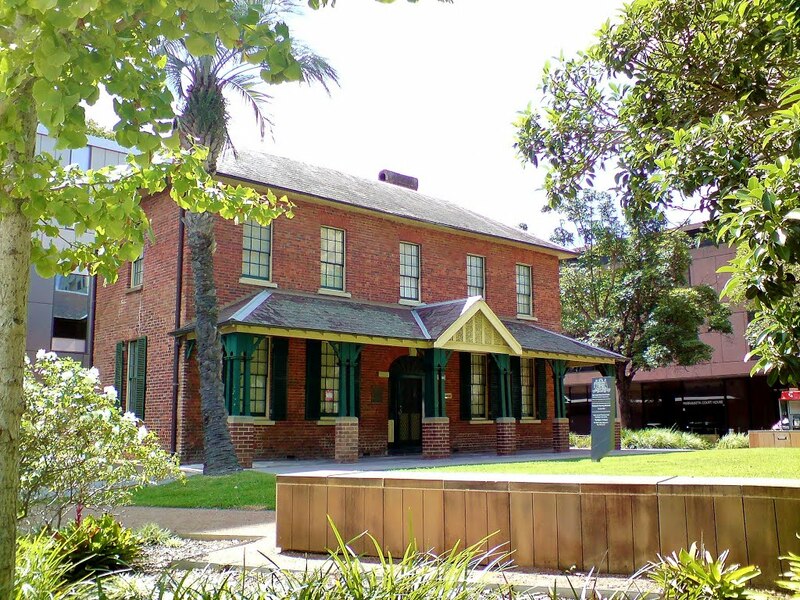 It is the oldest existing dwelling house in the inner City of Parramatta and since 1983 has been a Medical and Nursing Museum for the former Parramatta Hospital. The building was constructed in 1821 for ex-convict John Hodges as a condition of his application to Governor Macquarie for a Liquor License, using money won in a card game at the nearby Woolpack Inn. To commemorate his win of 1000 pounds in gold with the eight of diamonds card, Hodges had the convict workers incorporate the diamond pattern into the rear wall in darker brick. Brislington has had an interesting history since its construction and today the Museum pays tribute to a by-gone era showing a then and now picture of medical science and hospital care in Parramatta. Offers a range of souvenirs such as pure linen tea towels, coffee mugs, spoons and books.